What thoughts do you have as you view these symbols? 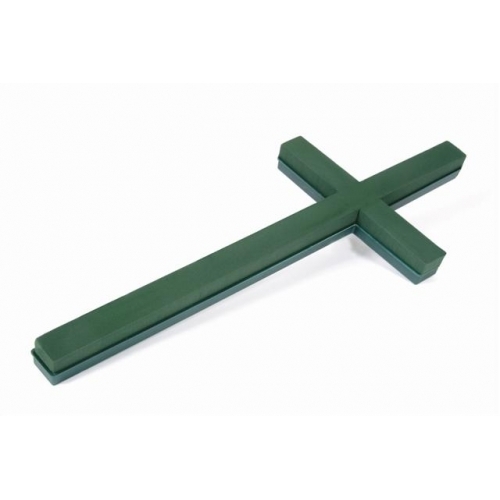 For some these symbols either represent or remind them of their faith in god and country. For others these represent institutions of hatred and oppression. For me, they represent all of these; faith, god, country, hatred and oppression. They also represent neither. The meanings of symbols and the meanings thereof are strictly up to the person interpreting them. As people, we interpret symbols through the lenses of how we are raised, our learned experiences or how we have evolved. By nature I am sentimental but I hardly hold on to what I deem are empty traditions. I am an American. But I didn’t have the choice of being an American. I was born here. I see from a distance some of the advantages I have from people in some other countries. But my experiences and knowledge are limited, unlike, for example a first generation immigrant. I can’t say America is the best country in the world. Because ‘best’ is subjective depending on a person’s needs. ‘Home’ is home for most people in the world. Most people have conflicted feelings about their homes. I served in the military, but I didn’t have a particular affection for the flag. I grew close to a few of the people I served with. 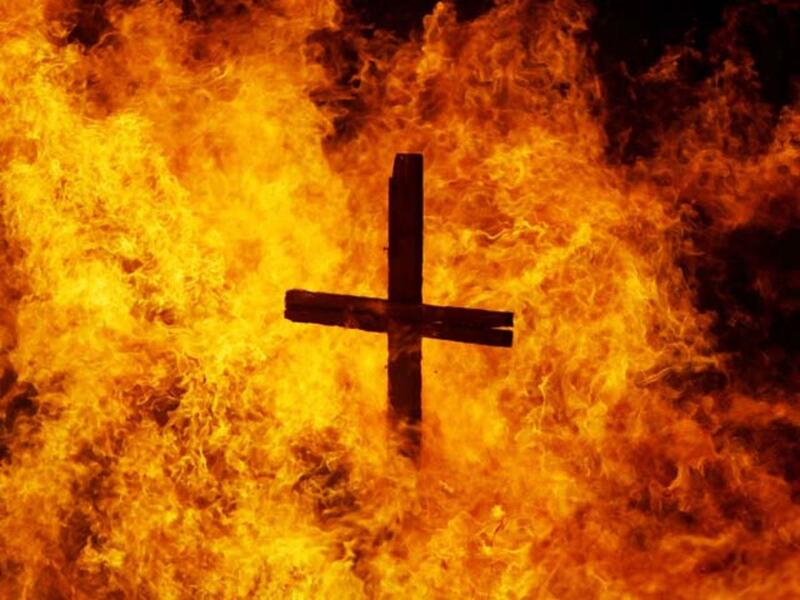 I was a Christian, but I didn’t love the cross or the bible as a symbol. I loved what I believed they stood for according to my faith. I admit that I’ve had my superstitions. Back in the day I would never put a glass or anything else on top of my bible. There was something in me that felt it wasn’t right. I’ve learned in time this was my hangup. Experience has taught me a few things about symbols. 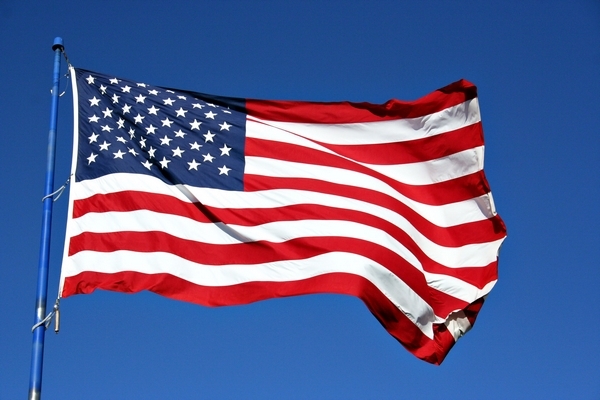 The flag, whether decorated with stars and stripes or crossbones and skull in an inanimate object. The bible is a book. It’s people who bring value and significance to things. Not the other way around. What the American flag and the Holy Bible represent to each person they encounter will be determined by the representatives who carry and present them. I cannot speak for other nations, but Americans are really into symbols and rituals. However, far too many have little interest in an authentic manifestation of what they say the symbols stand for. Take Colin Kaepernick and his decision to sit for the Star Spangled Banner. He expressed a grievance that has long been expressed by African-Americans as well as many other minorities in this country. He desires that America as a whole live up to the ideas that she claim for all of it’s citizens. But Americans, are using the flag (the symbol) as a shield to cover over the subject matter Kaepernick described when asked why he sat. Clearly, his critics don’t want to recognize Kaepernick’s grievances or even entertain a serious discussion about them. I think ESPN’s Stan Verrett spoke for most Americans who happen to be woke, Black Americans in particular. 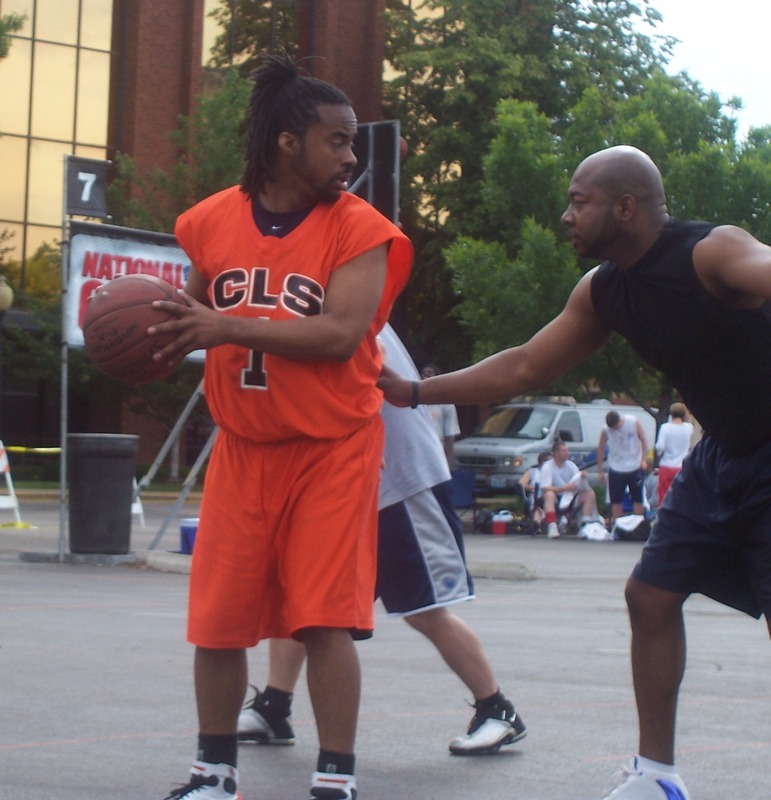 *Is burning this jersey (a recent ritual against scorned black athletes) any different that burning this cross? Unfortunately, many of the loudest detractors of critical thought, nuance and self examination are fixated on the symbolism. In the case of ‘patriotism’ they love the worship of the flag and the ritual of standing for the anthem. They love the idea of what the veteran does to protect their rights to be self absorbed while enjoying a false sense of exceptionalism. They aren’t willing to give two damns or one f#@! for veteran returning to the United States traumatized with PTSD. They don’t invest in the welfare of military spouses and families left here when soldiers are deployed, wounded or killed in action. They aren’t even the least bit put off about how the NFL charged the United States Military millions of dollars putting on tributes in stadiums during football games. But they sure are mad as hell at a man who peacefully sits down for 90 seconds of the anthem. 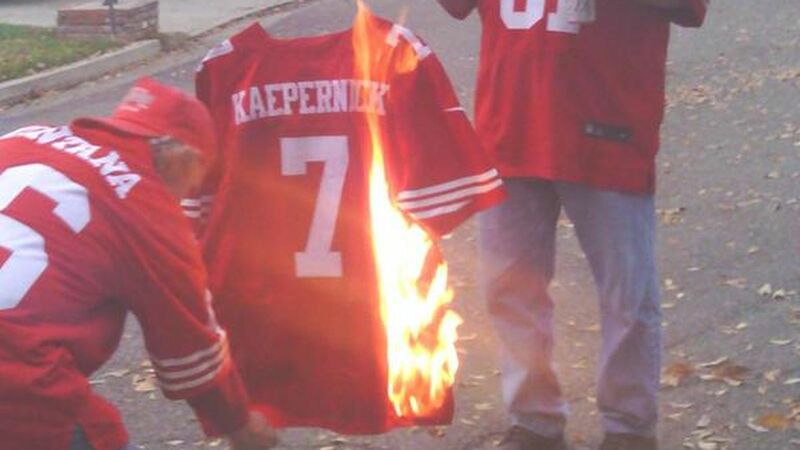 They burn his jersey in effigy. They tell him to leave the country. They use his income as an excuse to condemn him to silence; as if money is an elixir to racism. The ignore poor and middle class people who share the same griefs that Kaepernick is talking about. So the question has to be asked: Is patriotism really the issue here? Or is there something else more sinister at play? Images and rituals are useful when they serve as a reminder or an inspiration; when they celebrate ideas of hope, service, strength, and compassion, or a solemn recognition of memorial. However, whats most important is that these images, symbols and rituals remain what they are, reminders. And that we the people with the power to make the meaning of our symbols a reality do so. Without substance, we (and by ‘we’ I mean they or you if it applies) are liars, rattlesnakes pretending to be eagles! This fact is easily verifiable when one acts as if not standing for the anthem is treason while ignoring the reasons a man chooses not to stand. Finally I will echo the words of San Francisco Chronicle Columnist, Ann Killion, …the truth is, standing for the national anthem before a sporting event is an equally empty gesture for many people. Though many are reverent during the anthem and think of their freedom and those who have died for our rights, just as many are buying a beer, daydreaming or looking at their phones. Raising their butts off the seat doesn’t make them better Americans than Kaepernick. She continued, …To those who say he “should” be grateful, and that he has a good life, take a look at the racist comments posted on his Instagram account. They’ve been there for years, long before this controversy. He has plenty of reason to be concerned about what’s happening in our country. 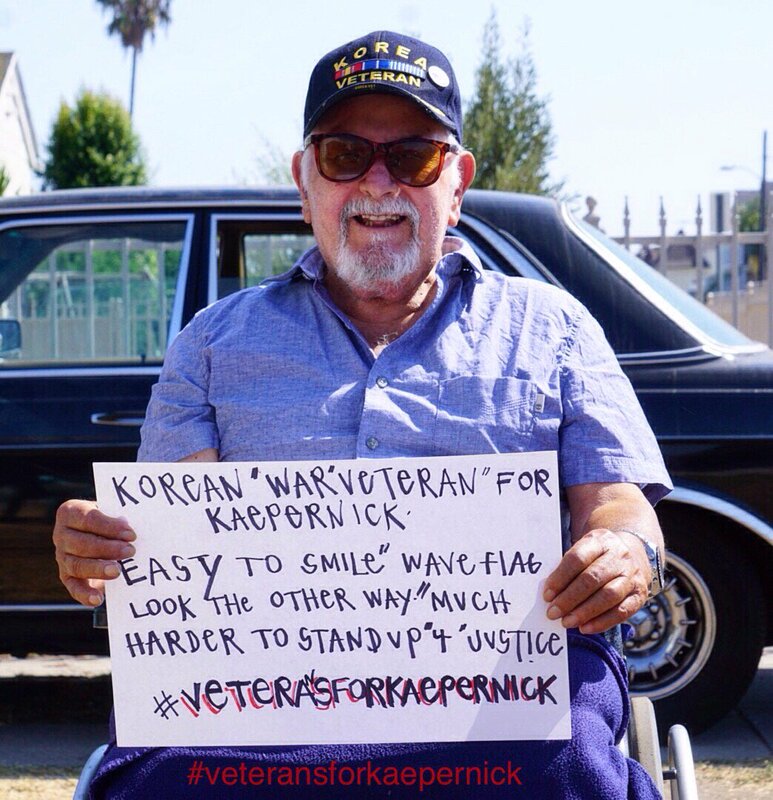 I say, the fact that many are still holding on to their patriotic bumper sticker phrases, despite the many veterans who have come to Kaepernick’s defense, (#VeteransForKaepernick) your stance merely reveals your nationalistic narcissism! You can’t hide in plain sight. We see you naked and inept. When former Attorney General Eric Holder said, “Though this nation has proudly thought of itself as an ethnic melting pot, in things racial, we have always been and we — I believe continue to be in too many ways essentially a nation of cowards, he was talking about you, oh “patriotic” one.